Well here is my first image with a Daystar Magnesium Quark or to be precise Mgl b2 Filter running at CWL 5172.8Å. The weather here was pretty poor with a few gaps in the cloud. 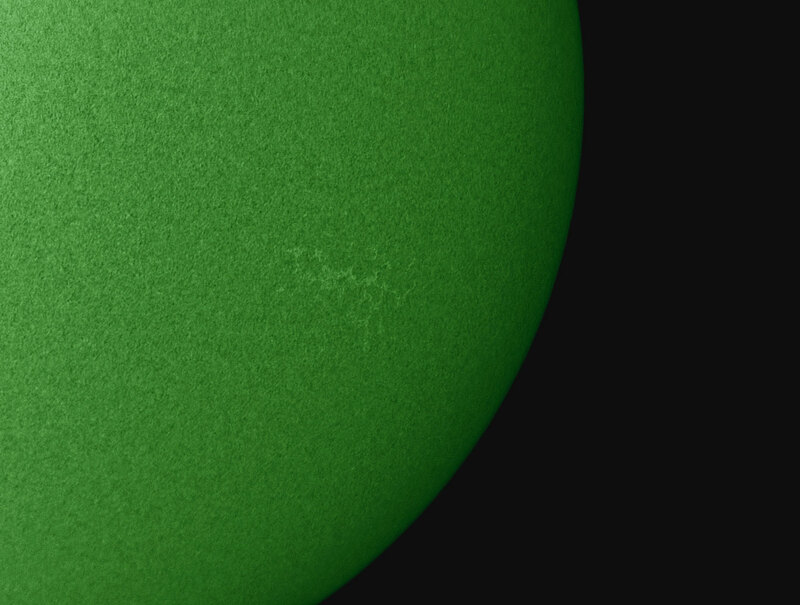 As the image shows the sunspot in AR12706 has gone. I switched to a colour camera just give the image some contrast on screen. There are very few magnesium images of the sun so i am looking foward to some clearer skies to see what the Quark will show. The other images were quite poor but they were showing some interesting detail. I couldn't see an attachment? Not sure if you are registered with your own members' webpage. It would be good to have it posted on the Members' Pages.